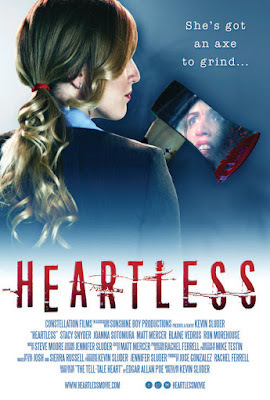 HEARTLESS has an associate at a large firm giving a presentation that goes horribly wrong as an event in the recent past comes back to haunt her. 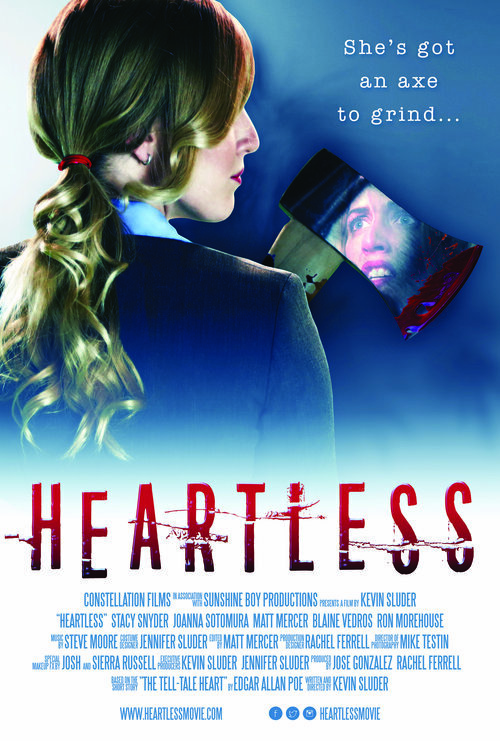 HEARTLESS vexes me. I'm not sure exactly how to review the film in order not to give anything away and allow the film to be seen on its own good terms. On its own terms it is an unpleasant (in a good way) bloody horror tale about what some people will do to get ahead. It is a overtly violent reimaining of the way that some people figuratively climb the corporate ladder. Taken as a film unto itself it is a wicked, and wickedly funny poisoned confection that is worth a look. Unfortunately all of the promotional material for the film mentions the source story for the film. While there is nothing wrong with knowing what the source material is, it takes the edge off the proceedings because you know instantly how this is going to go, more or less. Because I don't want to give anything away I'm going to leave it here and say- don't read about the film - just see it and you will enjoy the mayhem on screen.